Welcome to Bizzy Becs New Store Blog...Where you will now see all Bizzy Becs Store Design Team's Inspiration Cards, Tutorials.. Plus LOTS & LOTS of Giveaways. Lots of fun with the Store Challenges now being set up on here.. Where anyone worldwide can now enter however, I have not forgotten about my Loyal Store Customers. As there will still be a special Prize for you..
As you may know we have been looking for 3 more Design Team members to Join Cheryl, Jackie, Cassandra, Leonie & Narelle. The Chosen 3 will be announced on here in the first week of November.. So If you are interested we would still love to hear from you.. Contact Us here for details. 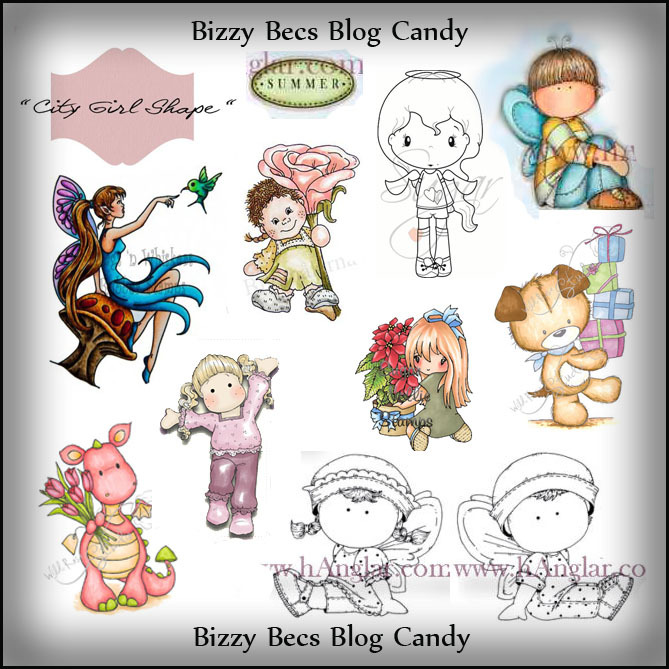 This Blog Candy is to WELCOME you to Bizzy Becs Store Blog.. Blog Candy is open till November 10th, 2010.. Become a Follower - as you will be first to find out all about the Store Giveaways. If you don't have a blog that is fine.. Just enter your name and link back to the store blog. This Candy is open Worldwide.. Winner will be chosen by Random Org. Well done Bec, branching out to share your fabulous self. Looking forward to seeing some great ideas & just love the fact we can win some candy on offer too! Awesome thanks for the chance to win some gorgeous stamps.. Your blog looks great. Love the new blog, how exciting to maybe win some candy thanks. Hi there ... new to the store .. and new to stamping and Copics - and I just don't know what to order first!! Loving the new blog and the store!!! Can't wait for the challenges to begin! Thanks for the chance to win some prizes! Wow Bec the new blog looks awesome! love the new blog! Candy looks fantastic!!!! Wow what a great blog and wonderful candy, thanks for the chance to win. Fantastic giveaway Bec, thanks for the chance to win! Love the new blog! Hi Bec and team...the new blog is great and I love the pre order and product update section. Congratulations Bec on your Blog and your store.. I love browsing and now I can keep up to date without even thinking about it! Blog looks great, candy looks yummy (lol) and you're still doing an awesome job Bec, happily displaying your blog on mine now. Cute candy -- crossing my fingers and toes! Hoping to win this Blog candy. Have posted about it in the sidebar in my blog. Hi Bev, I think your new blog is great...thanks for the candy. Great Bec, the blog looks terrific. Thanks for the chance to win some great blog candy. Great candy, looking forward to seeing all your challenges and goodies, glad I found you! Love the new look blog ... great candy too! Fantastic blog! Love a good challenge! Thanks for the chance to win some yummy candy! Congrats on the new blog! I have posted on my blog and also added your fab candy to my sidebar :o) Thanks for the chance to enter. Congrats on the new blog Bec - looks FABULOUS!!!!! Thanks for the candy. I become your followers and posted this on my blog sidebar. Glad to have discovered Busy Becs. The blog looks awesome! good luck on the new site.. Thanks for the chance! The news about your store blog is posted along with the picture in my sidebar. Congratulations on the new blog! Looks great, and I love that you've combined the store with DT cards in one place!! Great inspirations! Thank you for the chance of winning your welcome candy! Wonderful and eye appealing Blog~~Love it!!! Great looking blog!!! thank you for giving us the chance to grab your blog candy. Keep up the great job and thank you for giving us a great customer service. Wow! What a great store! Thanks Sherryn for sending me over! Hi there and thanks for the chance to take part and to win your fab candy! I've posted you in my candy bar and added a wee post to my blog! I'm off to drool over your DT's beautiful cards! Gosh one needs time to use all the lovely things we keep finding ...but keeping an eye on your site. Best of luck. Thank you for the chance to win the blog candy! Is is wonderful!!! I am a follower and I post the link on my blog. Thank you for the chance to win the blog candy! I love stamps. I am a follower and I post the link on my blog (side bar). I would join the Design Team. How do I? Wow- one of the greatest candys I've seen in the web- and so many cute stamps. I would love to win and share some of them with a friend who had to go to hospital today. You have really very sweet and lovely blog. Thanks dear! Great news and a great blog Bec, I wish you every success! Great Blog candy. I am new , this is the second time I've ever entered for a blog candy. Its very exciting !! Congratulaions. Your Blog is exciting. Lots of great products. Thanks for the chance to win some great candy. Best Wishes to You. Grazie x l'opportunità...e complimenti x il nuovo blog!!! Hi! Congratulations for the new blog and thanks a lot for this welcome candy!!!! Wow! !I've just received my first Magnolia stamps from you and now just discovered your blog:) Love it!! I look forward to popping back to visit! Thanks for the chance to win some awesome candy. I didnt see a submission link for dt submissions so am leaving this in the comment section. I would love a chance at getting onto this awesome team. wow nice bloge and grat chances! (http://xartinakaravakia.blogspot.com) and put my name on your list. Hope to be the lucky one! Thank you for the opportunity to participate! Thanks so much for the chance to win. I would love to win all these cute stamps! Congrats on the new blog. And thanks for offering this amazing candy! wowwwwww...i adore your blog candy!!! Oh my gosh, awesome candy!! Would love to be lucky enough to win... how ADORABLE is that little pink dragon???!!!!! This is a very cute line of stamps. Just love 'em. I'm now a follower, posted your candy on my sidebar, put a post on my blog announcing your new store, and put my name using good 'ol Mr. Linky. Hi Becs & DT girlies wishing you every success in your new venture..good luck. Hi Becs - Wishing you lots of luck with the new blog. Great candy. wow what yummy candy. I have followed all the rules. Thanks for the chance to win such sweet candy. I have my fingers(and toes) crossed. Congrats on your New blog & the great cansy opportunity!! I am your new follower!! Congratulation on the new blog!!! Only just found it tonight while hopping! Will be a frequent visitor! How are you? I am Casper , Pleased to meet you! Congratulations on your Blog & shop. Very kind of you to offer such sweet candy! I have joined,your on my side bar & I have added my link. Wishing you fantastic success now & in the future. Congrats for your new blog. All cards on this blog are fabulous. I'm one of your new follower but I don't have a blog. Thanks a bunch for the opportunity to win this super blog candy. Congratulations on the new blog........looks great! This is my first time entering so I hope that I am doing it right. I just have to try to do all the other things too - thanks to Kimmi for the link in her blog. Congrats on the new blog Bec and the Design team. Thanks for the chance to win. I am new at all this and just trying to figure out how it all works - I thought I entered yesterday but then my wireless router crashed. Will try to follow instructions for entering but might be a bit slow. Your site looks amazing! I've tried on and off today to become a blog follower and google wont let me - is anyone else experiencing problems? Still lovin' the site by the way! Exciting! Thanks for the chance to win. 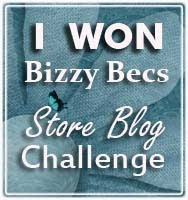 Congrats on your new Store blog and thanks ever so much for the chance of winning your yummy blog candy! Thank you so much for a chance to play along and for giving me a new blog to follow. Thanks for the chance of winning some candy. A new blog to look at and follow. WOW, very cool!!!! Thanks for the chance at winning!!! Thanks for a chance to win your candy. Now a follower, have a post and link on my sidebar on my blog. Wow great blog candy, thank you for the chance to win.. Thanks for the chance of winning this fab candy. Congrats on the new blog! Thanks for the chance to win the candy! I can honestly say I don't care if I don't win..................I love Bizzy Becs. 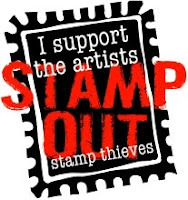 I love the stamps and although I haven't scrapped nor made any cards in about a year I'm glad to be following your blog. I think my scrapping mojo will hopefully return. I am a long overdue customer LOL! Hi Great candy, I just found you! I am a new follower, I posted on my sidebar and in my blog! Thanks for the opportunity to win! Wonderful candy! Thanks for the chance to win. I'm a follower, and I've linked you to my sidebar. Congrats on your new store--how exciting! Thanks for the wonderful blog candy up for grabs!I have linked you to my sidebar also!! I'm so excited about your store. The products look fabulous! Thanks for the chance! Wow what a fantastic blog and fantastic candy.Thanks for the chance to win this candy.I'll put a link on my sidebar,became a follower and now i'll cross my fingers. Thanks for the chance to win this beauty! Linked it on my blog. oops. I think entered twice. sorry! please excuse my last entry if 2 are not allowed. Hi, thank you very much to give a chance to win such a lovely candy. Wow, thanks so much for the chance to win. Good lool with your new store! I'm a follower and I linked on my blog and sidebar. Thank you for this chance!! Bec Look forward to following your blog and new store. Tanks in advance for the chance at the candy. Hi Bec, love your new blog, awesome! Such a great place here! Looking forward to getting to know you. Looks Good!